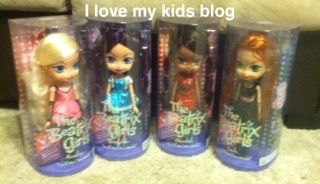 The Beatrix Girls are beautiful, fun, new dolls! The Beatrix Girls Dolls are the new cool toy you’ve got to see! 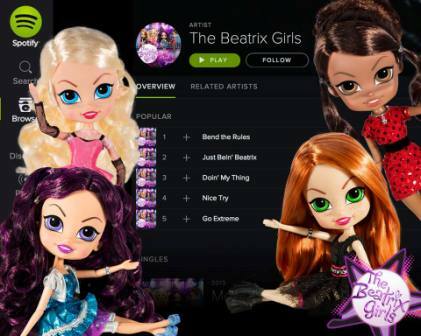 The Beatrix Girls Dolls are beautiful 12 inch dolls that are a real band, with real music, which makes them even COOLER to my 6 and 8 year old daughters! I’ve never seen anything quite like these dolls. They are stunningly beautiful, have the softest hair I’ve ever seen on a doll and they have their own original music! How cool is that? We received all 4 dolls in the collection. The very first thing I noticed and appreciated was how they were dressed. There were no tummy’s showing, ragged clothing, or terribly short skirts. These dolls are geared for girls ages 6+ and I really loved that they were dressed appropriately for the age group! These dolls could be a good role model! On the back of each box there was a description about each doll. They have their own personalities, likes, dislikes, and of course-their important role in the band. My girls picked out the doll they “wanted” to call their own based on looks. Since I have 4 daughters this complete set works perfectly for us! My oldest picked out Lark. 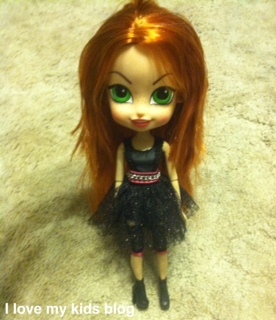 She has the fiery red hair and plays the bass guitar in the band. In addition to music she is into anything sporty like skateboarding, surfing, snowboarding, etc. She likes to be out and stays away from pink. I was surprised at how close this was to my daughters personality! My 6 year old picked out Brayden. Brayden is the leader of the Beatrix Girls Band. She writes most of the songs, plays the guitar, and likes spending time with her friends. As my girls were playing with the dolls it was fun to see them making up situations that used each specific dolls personalities. It created a whole new level of play for them! Each doll had fun accessories like shoes, bracelets, necklaces and more! The 3rd doll is named Ainsley. 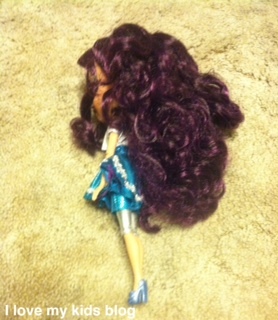 We don’t personally know an Ainsley and my kids can’t remember this dolls name for the life of them! Which is actually pretty funny to hear the many names that they call her. 😉 Ainsley is the drummer. She likes truffles, lollipops, parasols and go carts. Her soft blonde hair is gorgeous with her stunning blue eyes! The final doll is Chantal. She is from Canada and since we live in MT my kiddos say that she is practically our neighbor! 😉 She is the keyboard player in the band. I love that these dolls can move many different ways. Their arms, legs, heads, and waists can bend in different directions adding to the fun! There are other outfit available to purchase as well as instruments for the dolls. I am pretty sure all 4 instruments will be on their Christmas wish lists! Aren’t they so pretty? Their hair…..oh their hair is so incredibly soft and beautiful! 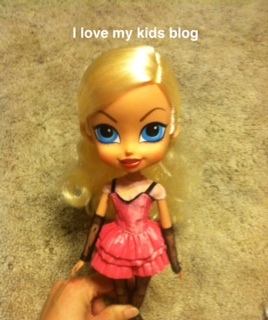 Having dolls that are “real” really adds fun to how my girls play. We have had these dolls for a total of 3 days so far and my girls have been trying to write new songs for the Beatrix Girls to sing. They are also singing 90% of what they usually speak. They have been putting phrases like, “May I have a drink of milk” into songs. 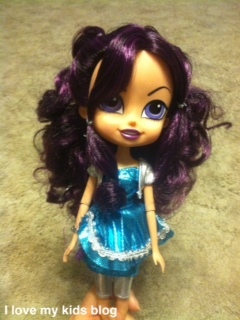 I am able to giveaway 2 Beatrix Girls dolls to 1 lucky reader! 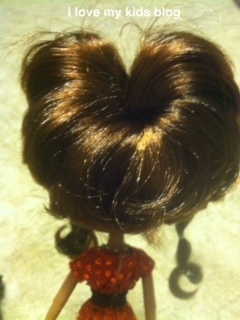 This would make an awesome gift for the doll loving child in your life! Just simply fill out as many or as few options as you’d like on the Rafflecopter form below. The winner will be chosen randomly and emailed. They have 24 hours to reply or a new winner will be chosen. This contest is open to the Cont. USA and will end on 10/14 at 11:59 pm EST. GOOD LUCK! Congrats to our winner Kathryn Court! Kathryn you have 24 hours to reply or a new winner will be chosen! Thanks to all who entered! Disclosure: I received the products mentioned above to review and form an opinion. All views expressed above are my own and were not influenced by our arrangement. I would get Ainsley and Brayden. I feel they would match my nieces’ personalities best. I would pick Ainsley and Brayden. Brayden and Ainsley would be my daughter’s choices. Brayden amd Ainsley would be my daughter’s choices. Brayden for the hair and Ainsley because she looks like my daughter. I would love to win any to give to my youngest daughter. Ainsley and Chantal. Super cute. 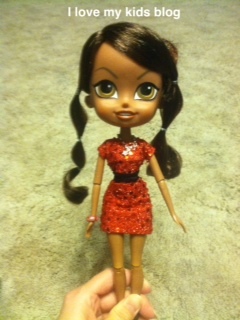 I like lark cause she has red hair like my daughter and Brayden because my daughter looked over and said she wants her. I especially love Chantal, but my daughter would be happy with any of them. I think I would pick Chantal and Ainsley for my daughter. I would pick Chantal and Brayden. My granddaughter would love these. My daughter has had her eye on lark and Brayden for some time now! Wouldn’t they be so sweet under the Christmas tree? I would pick Ainsely and Brayden. Brayden and Ainsley are my favorite! I would choose Chantal and Brayden. Lark and Brayden. Super adorable! We would definitely want Lark and Ainsley!! The red head and the Blond! I like Brayden and Ainsley. I would pick brayden and chantel. I’d choose Ainsley and Braden! I think I would pick Brayden and Chantal for my daughter. Thank you! My daughter likes Chantal and Lark.